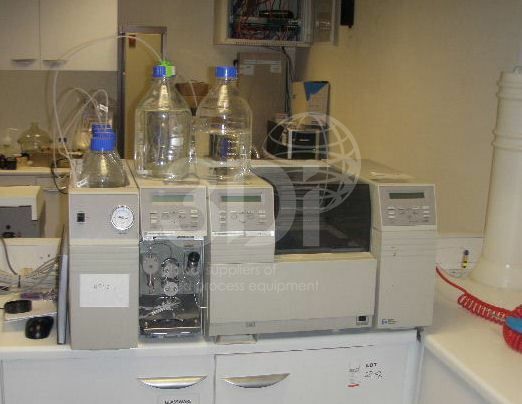 Used Autosampler with Column Oven, manufactured by Thermo Separation Products, Model AS3000 + Oven, Serial No. 1009-1581. Complete with Quaternary Gradient Pump, Model P4000, Serial No. 1009-1577, a Single Wavelength UV/V15 Programmable Detector, Model UV1000, Serial No. 1009-1580 and a Vacuum Degasser, Model No. SCM1000 RevA, Serial no. 1009-1579.